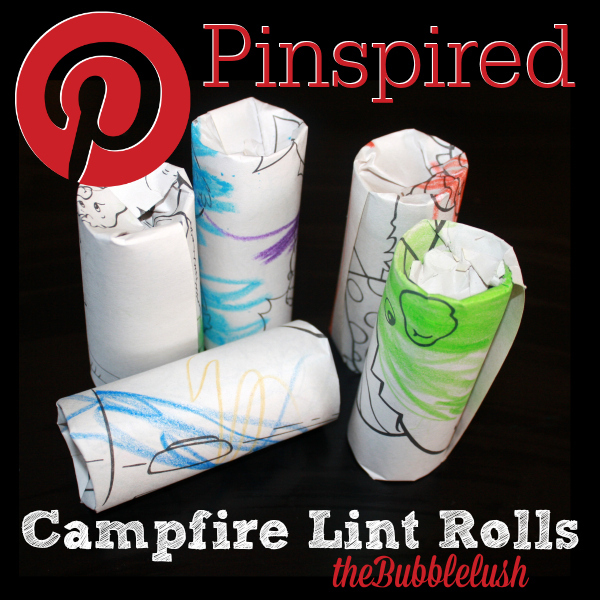 I love Pinterest and am very excited about all of our camping trips this summer, so I thought I'd share this free Pinspired craft idea. These are campfire starters. Basically you assemble the kindling and logs in your firepit, but you light this help start the fire. 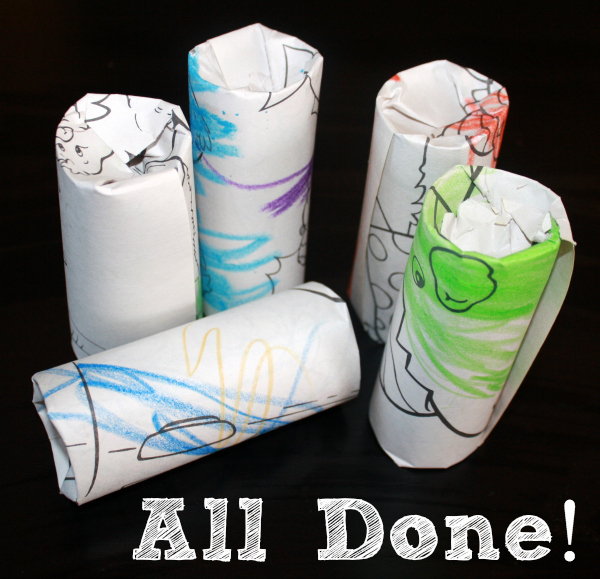 Empty toilet paper rolls, a giant pile of dryer lint, and paper of some sort - newspaper works well, but I used discarded sheets from an old coloring book. 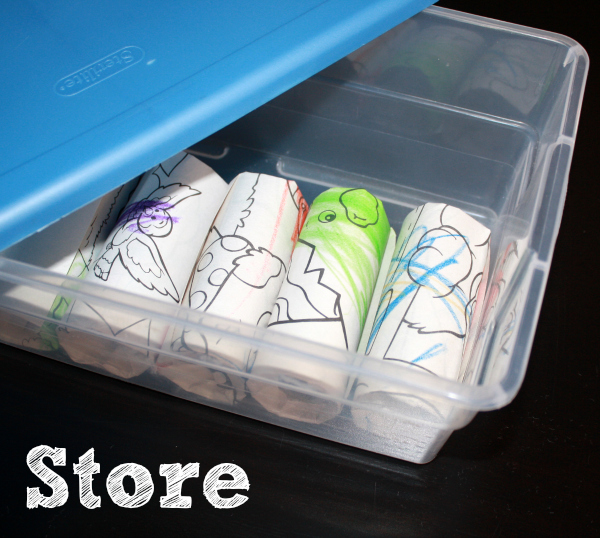 The crayon wax is actually a good thing. 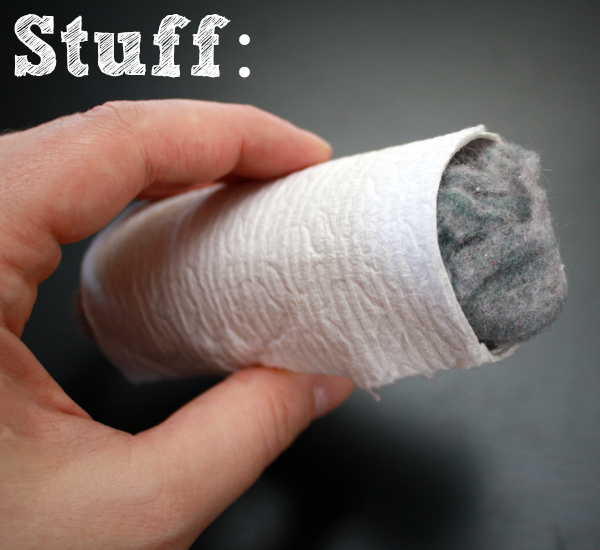 Other pins I've stumbled upon call for pouring melted wax on the dryer lint to create a sort of candle, but that just seemed messy to me. 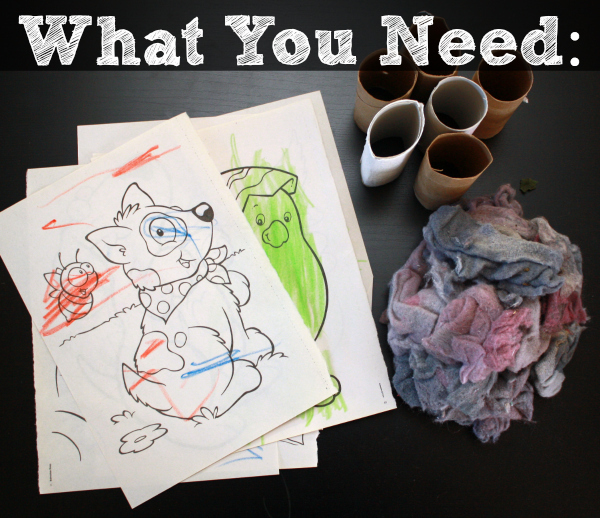 First you stuff the lint in the toilet paper roll. I packed it in there pretty good. 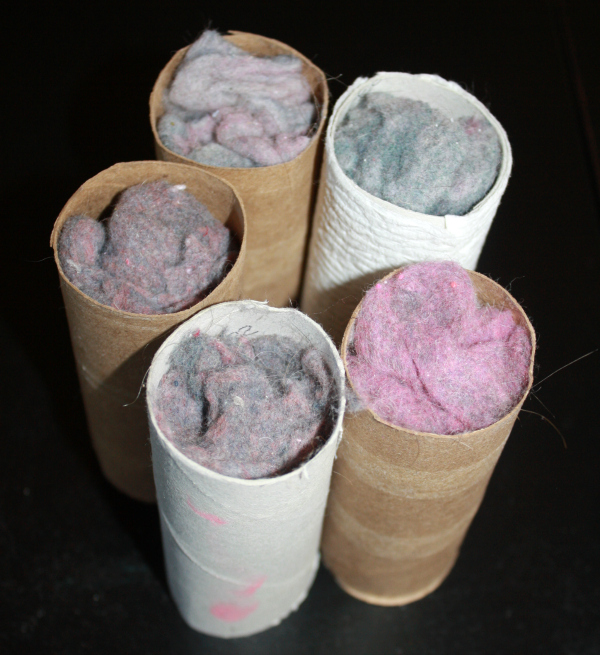 I only had enough lint to make five, so I'll be saving up my lint and rolls to make enough for all our nights of campfires this Summer. Then roll it up. Don't use any tape. 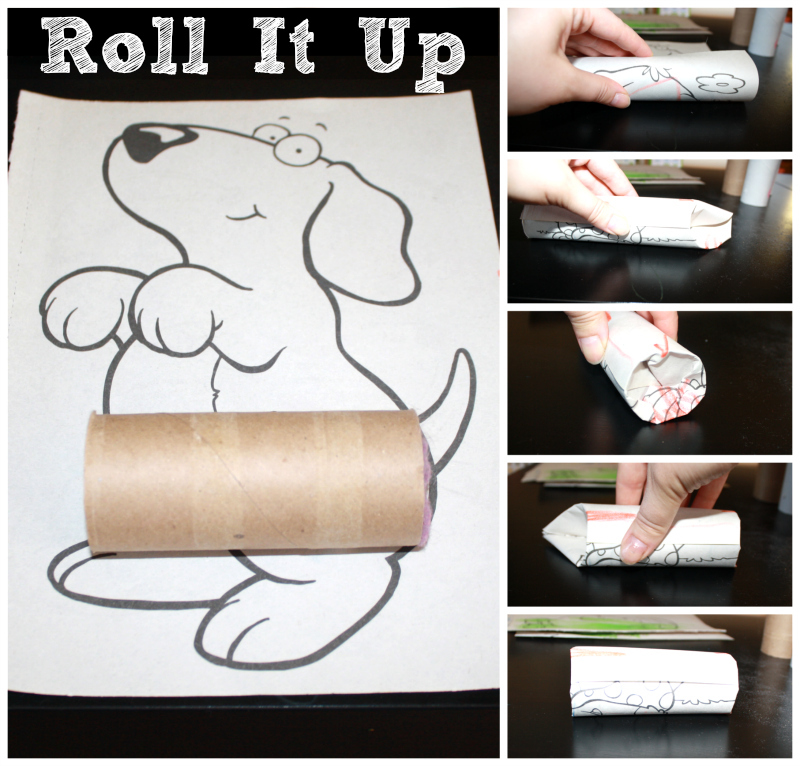 Just roll the paper around the roll and tuck in the ends. This is what they'll look like when you're all done. 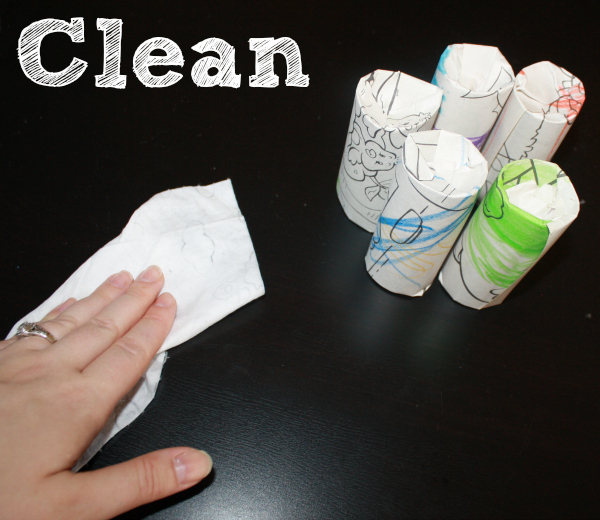 Your work surface will get very dusty from the lint, but I found that cleaning the table with a baby wipe makes clean up a breeze. Free? Easy clean up? Completed during a commercial break? I'm storing these in a plastic lidded container. I like the idea that these will be used during the camping trip and will leave me an empty box to store muddy/dirty/nature-ified stuff in for the drive home. Camping board for more camping tips and tricks.